"Let the Lawyers at OneTrust worry for you!" My favorite part of OneTrust is the automation that is built into all of the tools. Specifically, instead of having to wade through a bunch of code to find which cookies are deployed on our website, the scanner does all the work for us and even organizes the cookies into the correct categories. This process eliminates hours of manual work every month. The only thing I dislike about OneTrust is how unintuitive the console interface can be at times. Once in awhile I get lost in the dashboards trying to accomplish a simple task. However, this is likely due to the fact that I do not need to spend a lot of time to complete projects. I would recommend OneTrust to anyone looking for holistic reliable and easy-to-use GDPR compliance. The console is intuitive and the automation handles most of the heavy-lifting. The business problem we are solving with OneTrust is global GDPR compliance around cookie opt-in/opt-out. We were able to adhere to compliance in a matter of hours after purchasing the tool. "Massive platform with massive potential - my focus is Cookie Management"
For GDPR compliance this is a great enterprise platform to manage all aspects of the GDPR work cycle. Their new feature deployment is a bit sporadic. I might log in one day and all items are in the normal place. I will log in another day and a new update has occurred. Things have moved, been added or removed. The notification of these changes could be better. Additionally, there is quite a bit of work that needs to be performed outside of this platform so if they could get better 'how to' guides on well trodden paths I am sure a lot of their customers would be appreciative. Assigning Project ownership to an individual locks that user's access down immediately. So a Project owner cannot also manage the cookies dashboard. They need to rethink their user role model as the likelihood is that one person in the business may wear multiple hats. for GDPR purposes ensure you fully scope your digital infrastructure and work closely with your IT teams and developers as there will be crossover in specific areas. My core focus is Cookie management for all Marketing digital solutions. Out of the box it does offer an insight into what needs to be worked on. "Gran inicio con oportunidades para el crecimiento"
Hace lo que se supone que debe hacer y lo hace bien. No tengo idea de cómo encontraría todas las cookies en mi sitio sin ella. Realmente hace que el cumplimiento con GDPR sea simple. La UX es bastante torpe pero no es lo peor de ninguna manera. Tomó un par de intentos para averiguar a dónde ir y cómo guardar correctamente la configuración de mis cookies. Si bien es cierto, al principio puede parecer complejo, cuando te familiarizas con las funciones del mismo, todo se realiza de manera rápida. Es una herramienta bastante potente y competente, sin dudas es una herramienta que vale la pena darle una oportunidad. El equipo de soporte necesita un poco de ayuda. Les tomó más de un mes responder a mi pregunta. Para su crédito, ellos resolvieron el problema que estaba teniendo. "A great tool for managing data protection requirements like GPDR"
The software handles GDPR requests like a workflow making it easy to move the requests through your organization. It takes care of authenticating the requests that come in as well, so you don't have to worry about violating public policy by giving information to the wrong party. There is nothing I particularly dislike, but it does take a bit of work to get it all set up. I expected that, but I guess just being nitpicky and pointing out that it is not exactly a turn-key solution. GDPR compliance and forthcoming regulations in California have made this an invaluable tool for us, it provides peace-of-mind and real protection from mishandling a SAR. We also used this service to manage our privacy shield compliance. Onetrust is the most flexible and customizable tool.It supports operational privacy. OneTrust's Readiness & Accountability Tool helps with privacy regulations.The best part is the vendor Risk management feature.Vendor privacy and security assessment questionnaires can be sent directly to the third party to complete and generate the report. Keeps track of data compliance regulations and updates automatically. Very easy to use and setup. Can brand all areas for your company. No method to have a system assets hierarchy at the level needed I.e. there is no.levels beyond top level definitions so can't split into (as an example) Salesforce ---> Accounts . A really nice feature to OneTrust is the easy integration and automation of their tools. I don't have to walk through multiple pages to get to targeted cookies I want to turn on for my website. This saves me a lot of time. The UI could get a facelift. Some links are confusing, thus making the interface not easy to navigate. The GDPR compliance around cookie switch on/off is less of a headache with OneTrust. The user interface for this software is pretty intuitive. There are some naming conventions that are confusing to me. 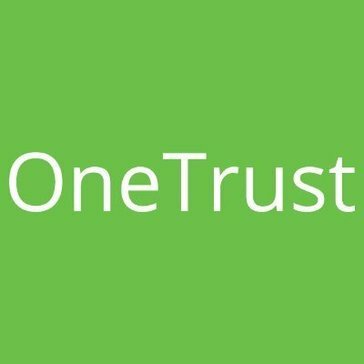 I like how OneTrust protects our privacy and security. It lets me use it freely without worrying. There is nothing I dislike about it. I feel like it’s great since it does what I need it to do. It is great with data privacy. It helps me on third party risk management and privacy. "Easy to Use for Privacy Management "
It is easy to submit reports and to see the approver, deadline, and assessments. Nothing so far! Like it for our privacy management issues. It helps us stay on track with reports and provides transparency. * We monitor all OneTrust reviews to prevent fraudulent reviews and keep review quality high. We do not post reviews by company employees or direct competitors. Validated reviews require the user to submit a screenshot of the product containing their user ID, in order to verify a user is an actual user of the product. Hi there! 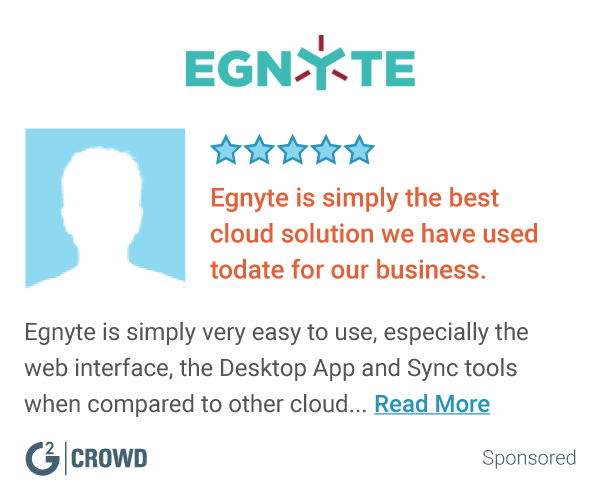 Are you looking to implement a solution like OneTrust?